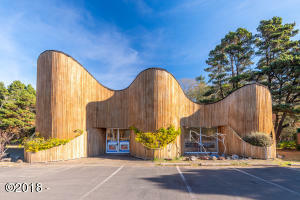 Great PCH 101 FRONTAGE; Architecturally Distinguished, very unique ( meant to inspire : Sand, Sea and Waves theme ); traditionally draws tourists and locals alike! 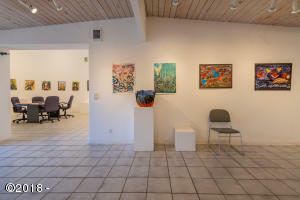 The Neon Blue / Green Horse is a fixture. 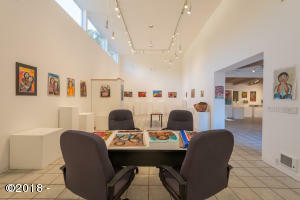 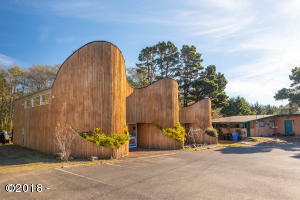 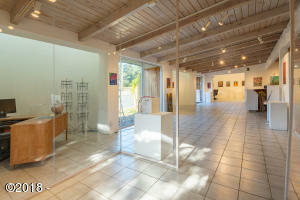 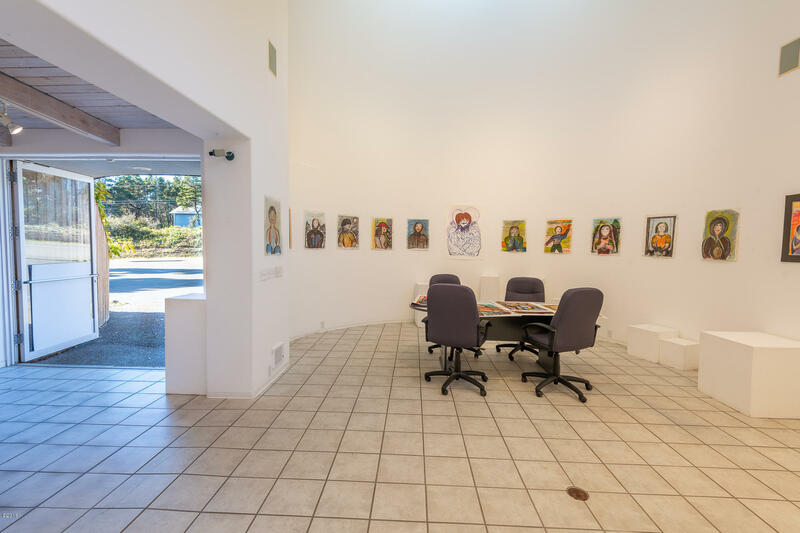 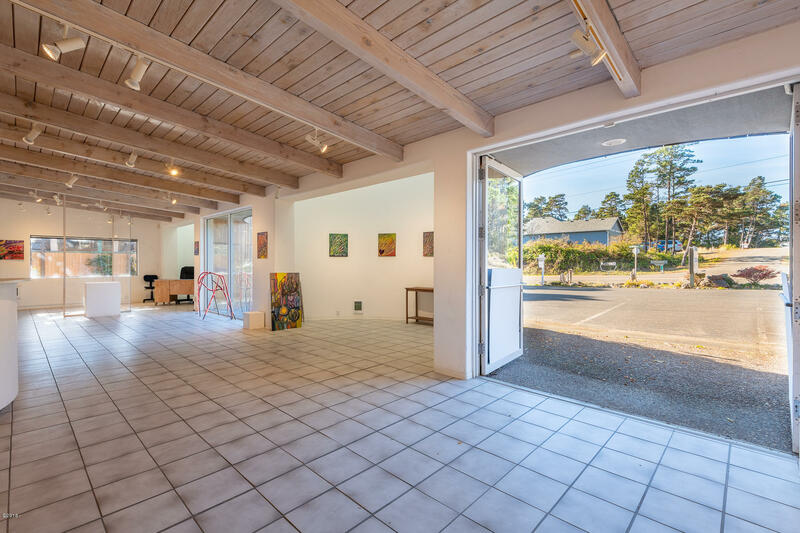 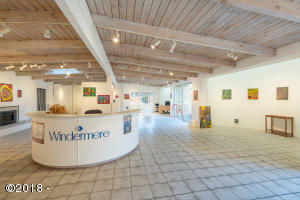 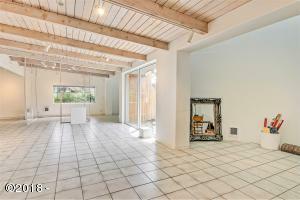 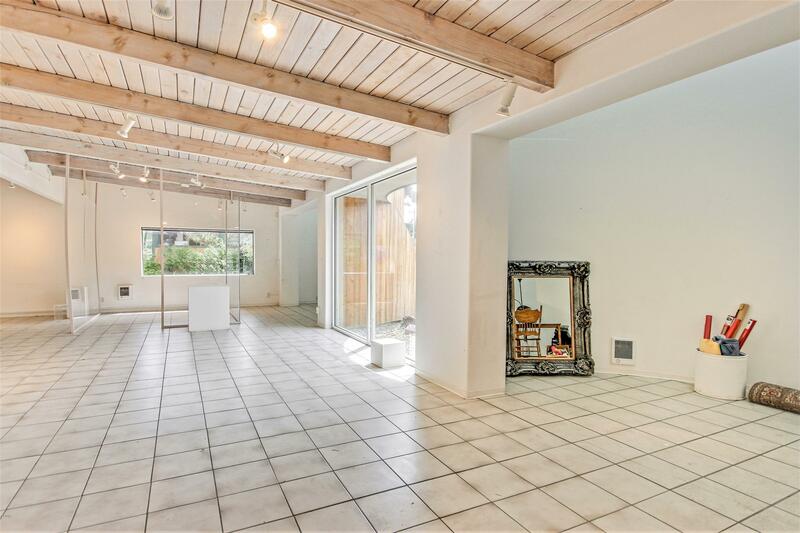 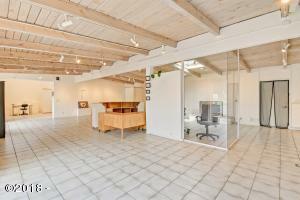 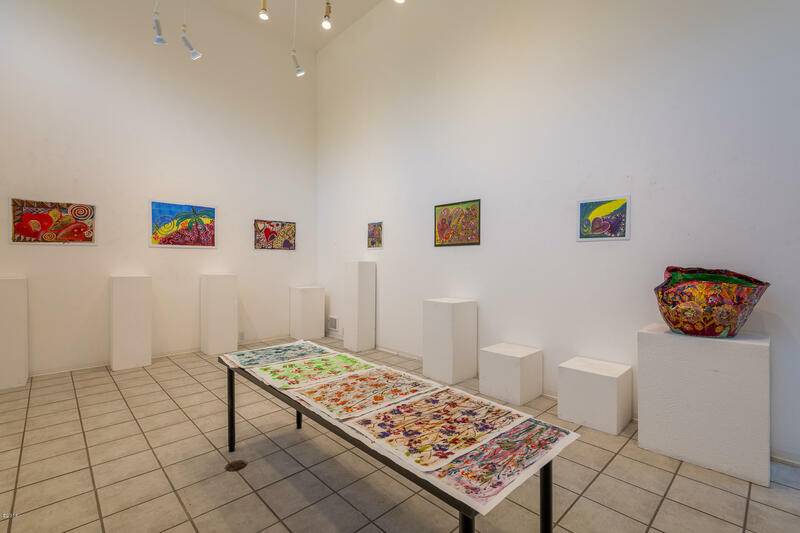 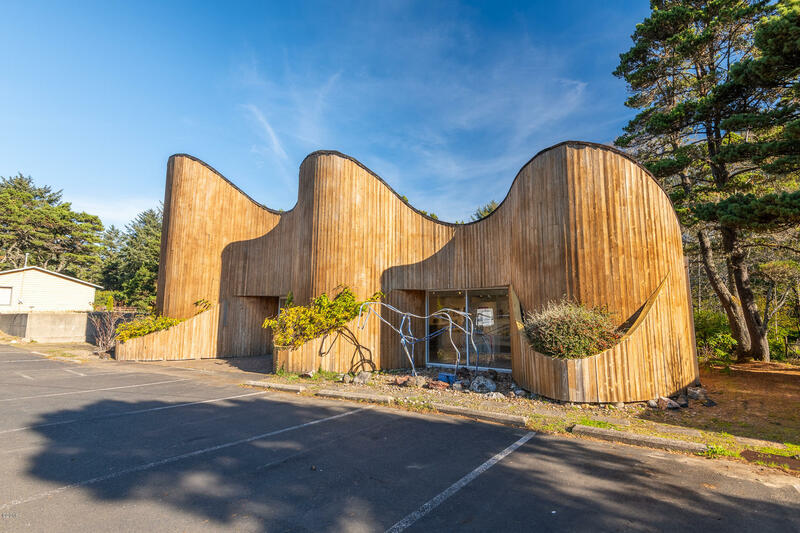 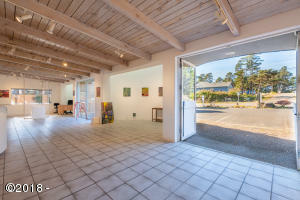 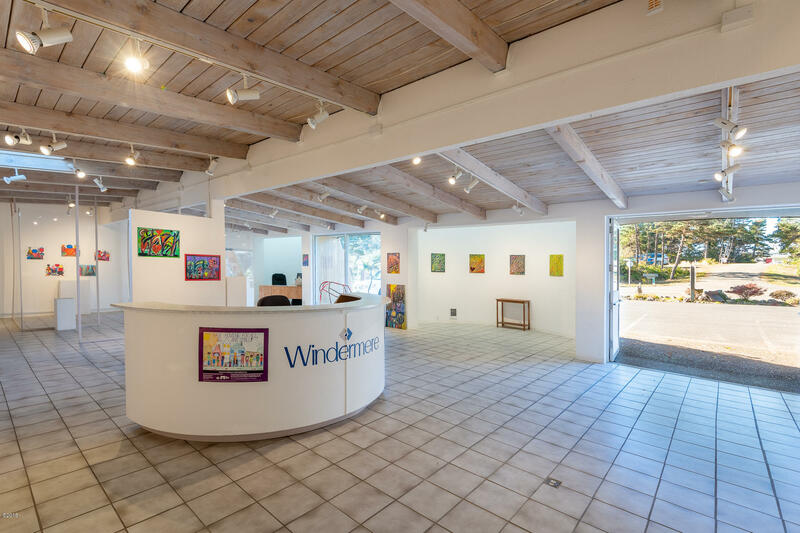 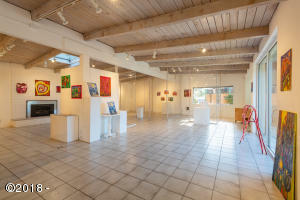 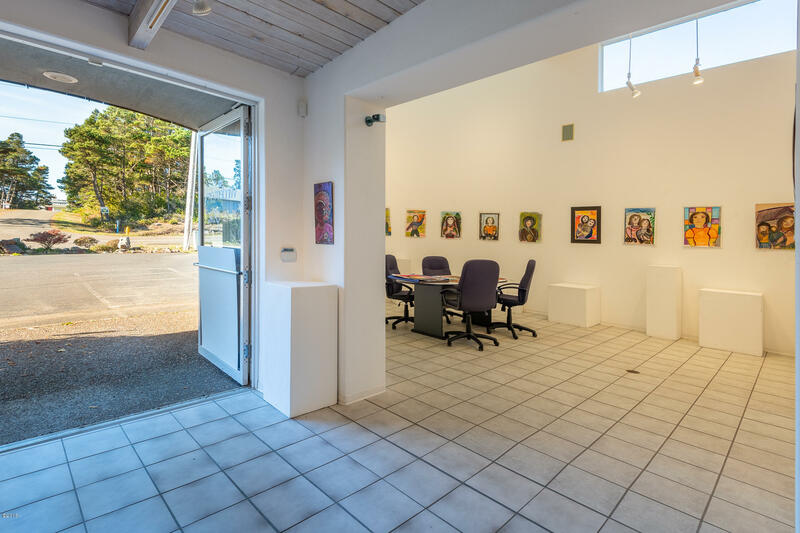 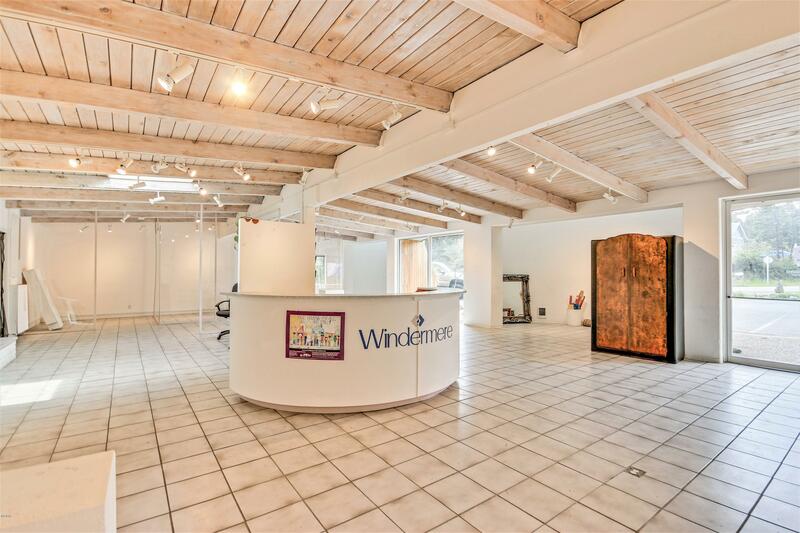 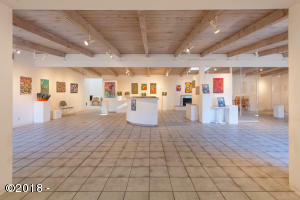 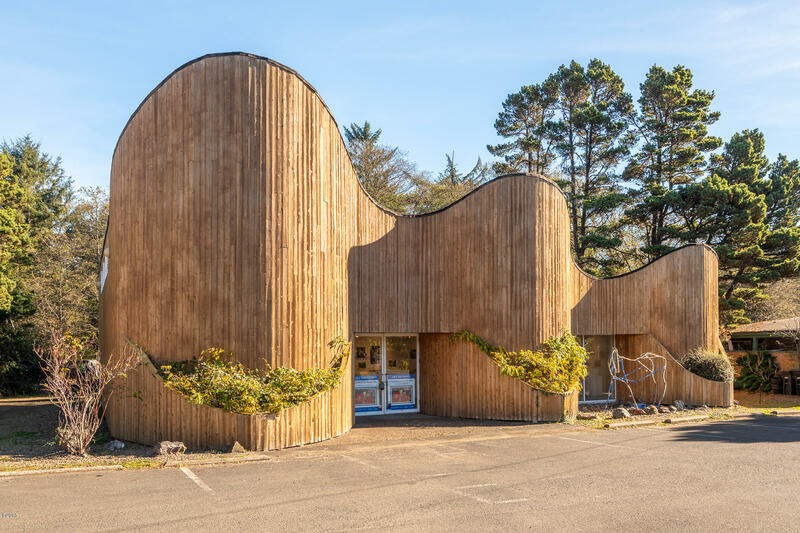 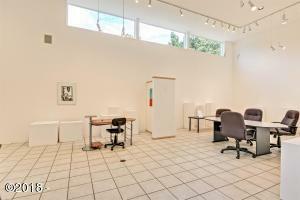 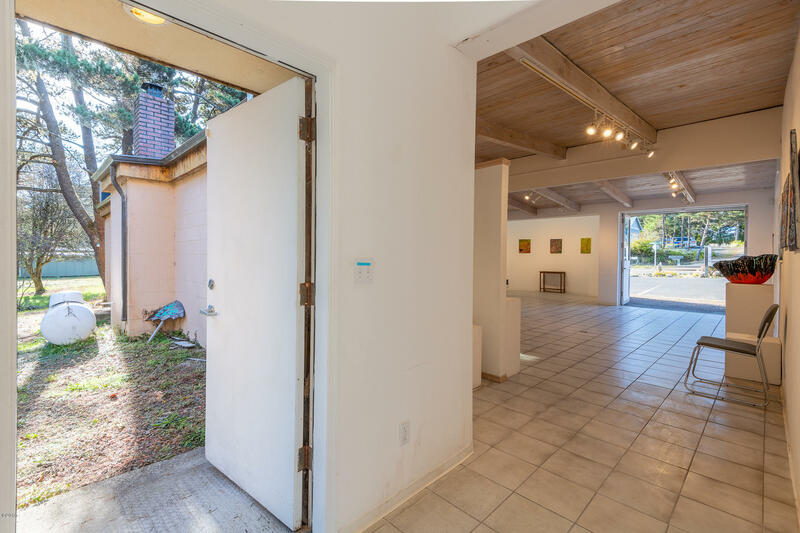 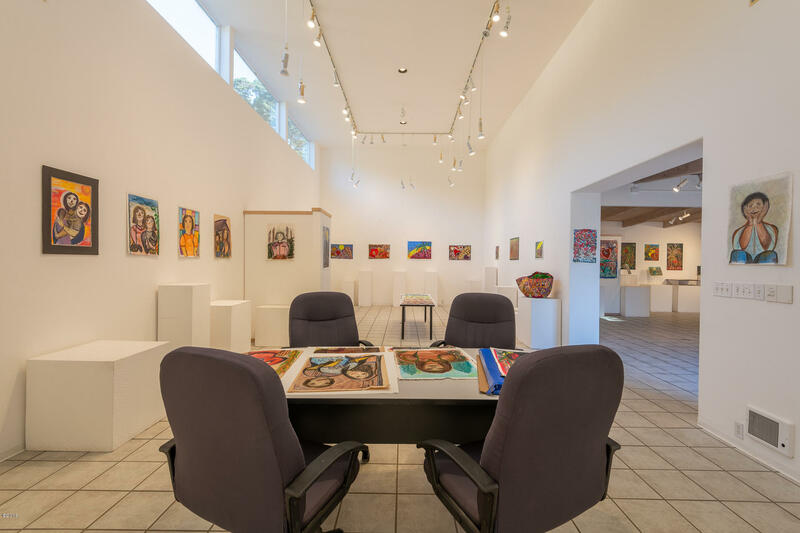 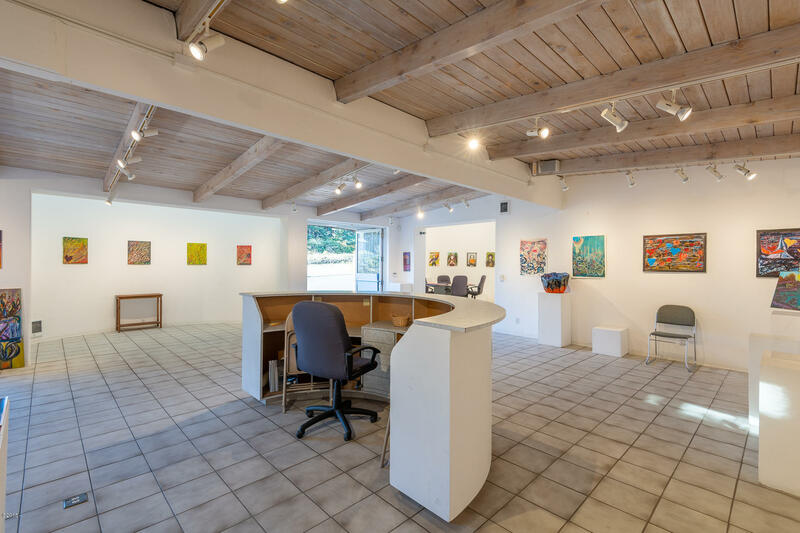 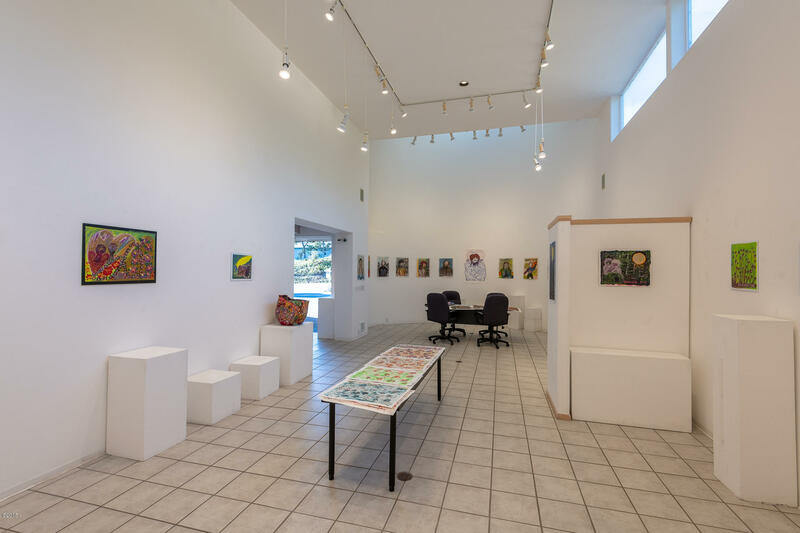 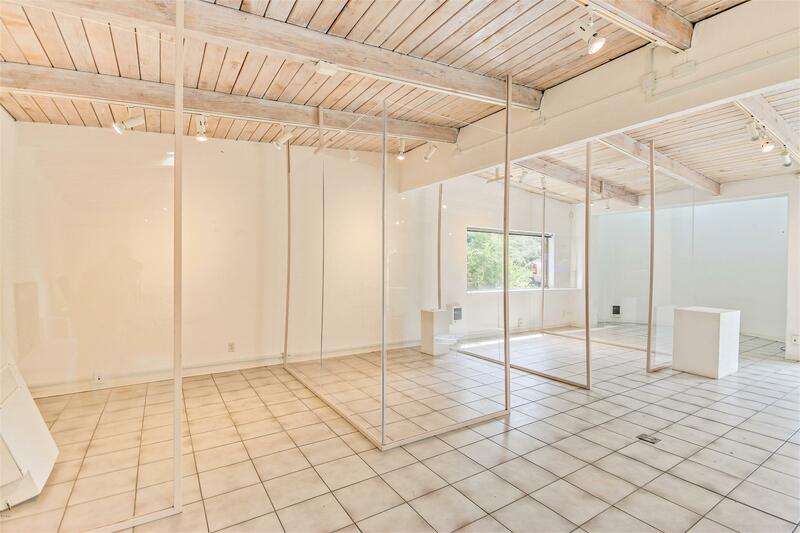 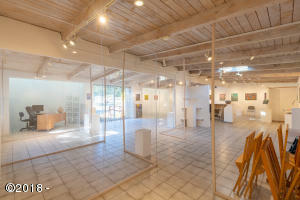 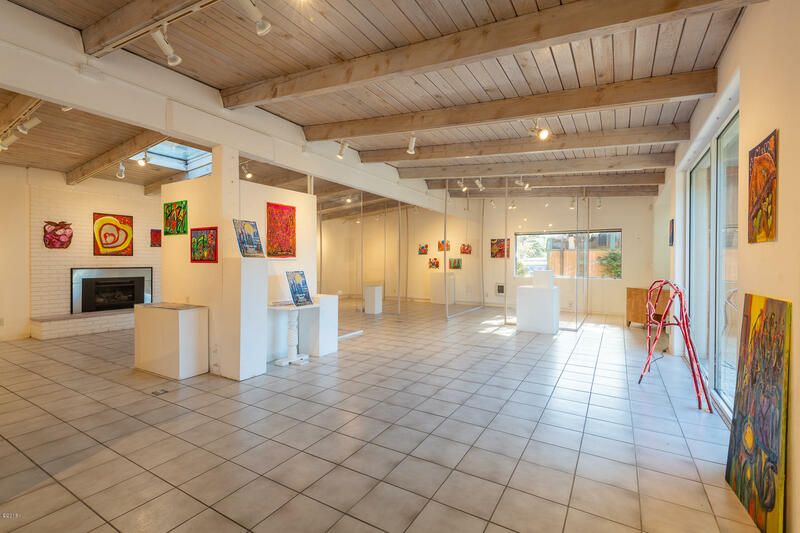 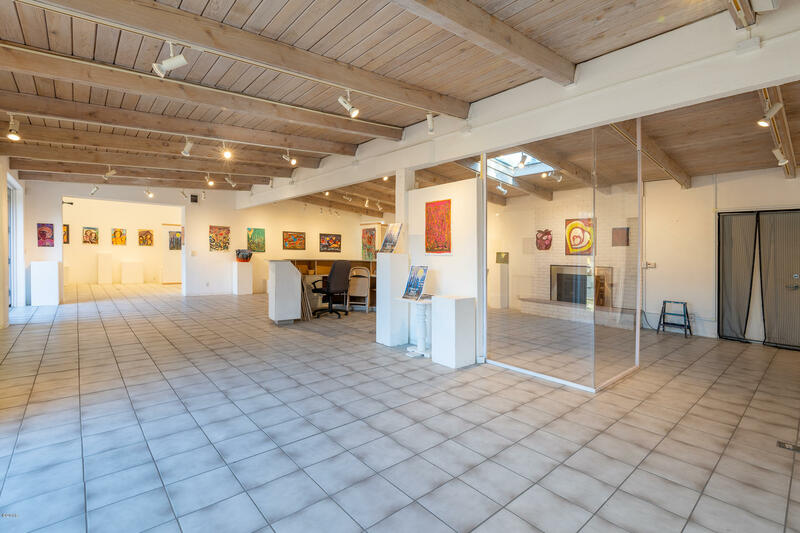 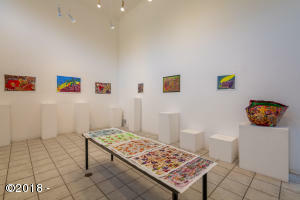 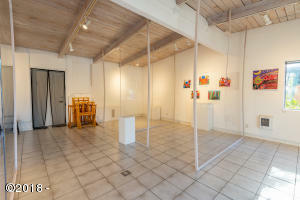 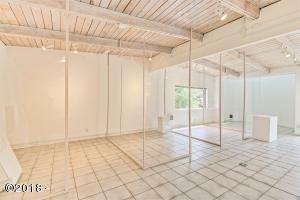 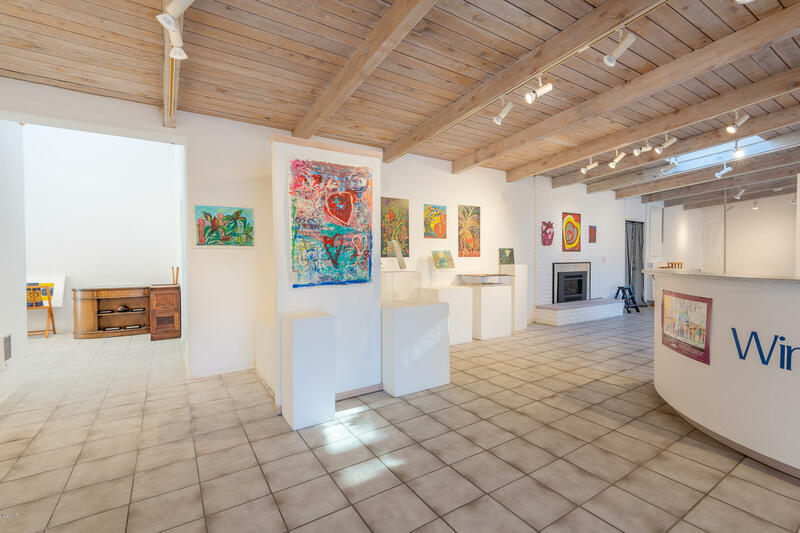 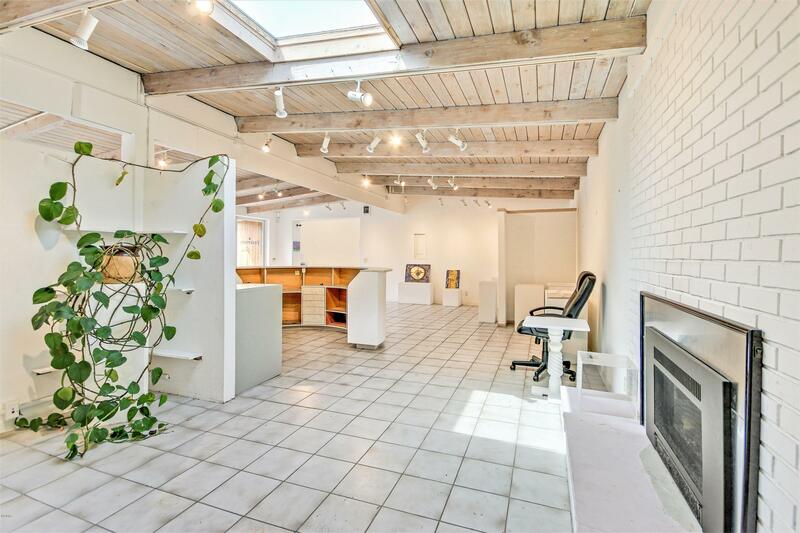 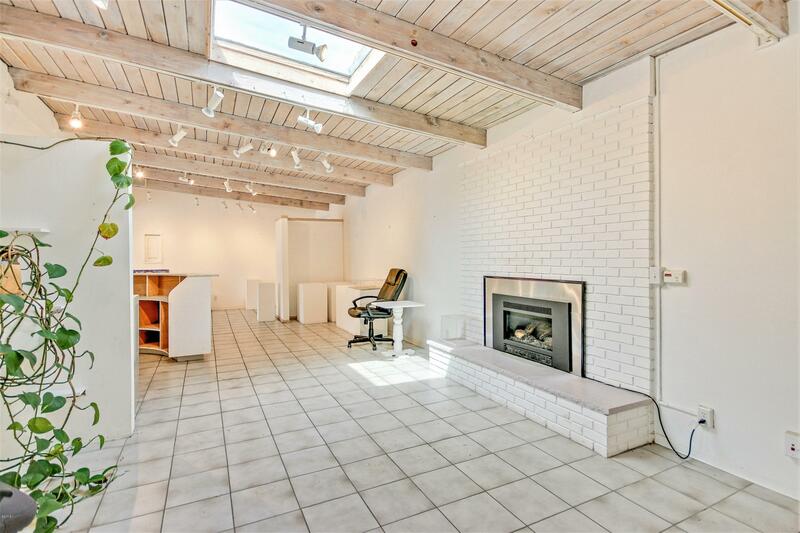 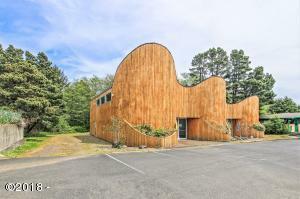 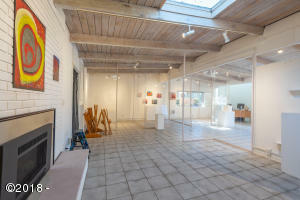 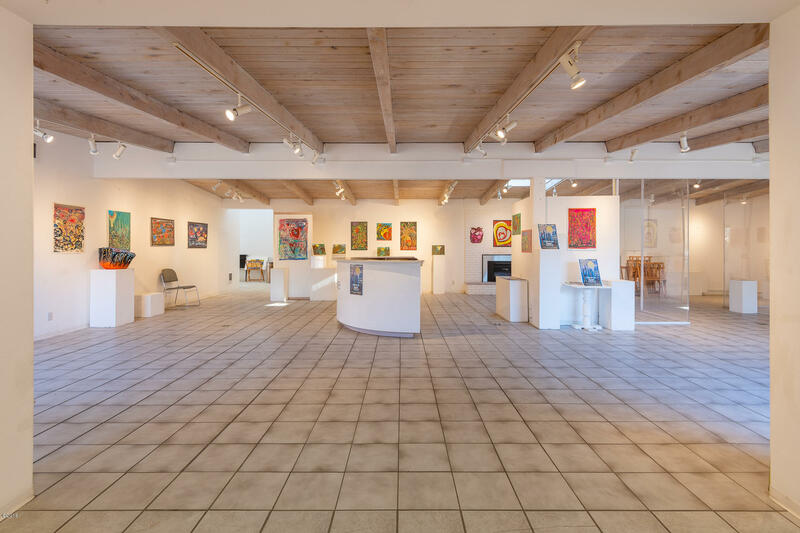 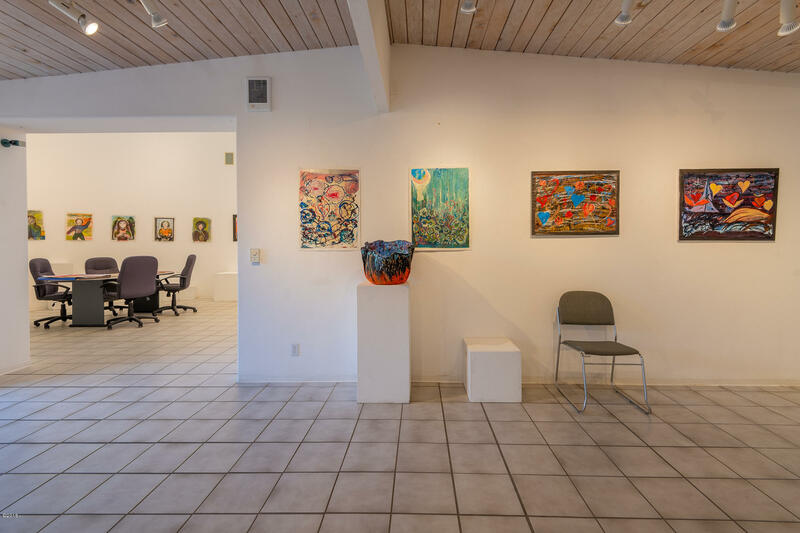 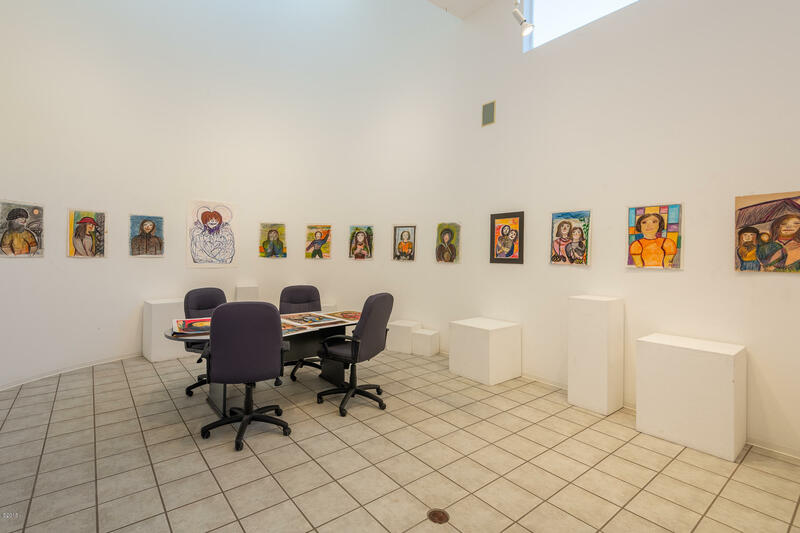 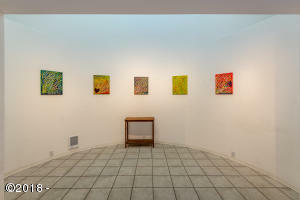 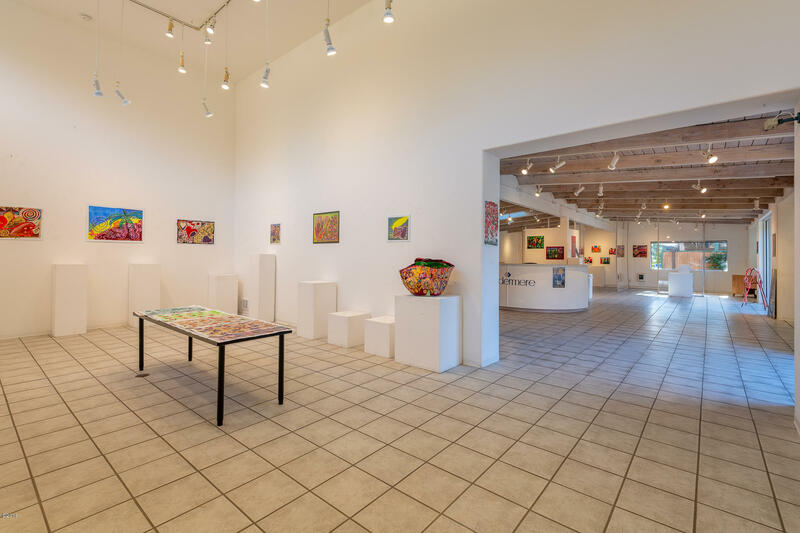 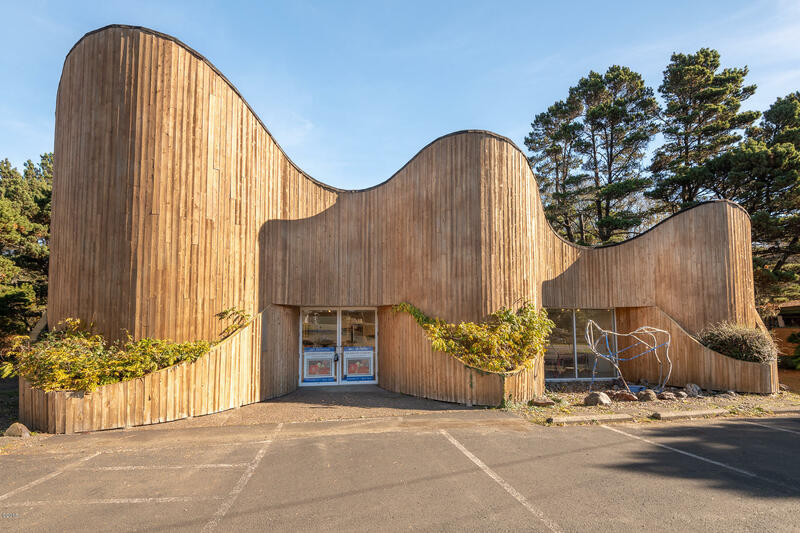 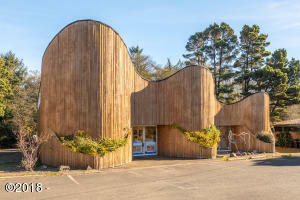 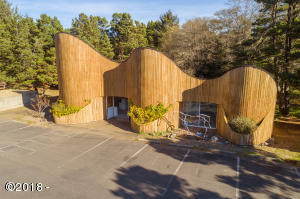 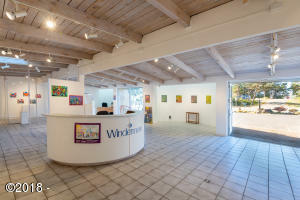 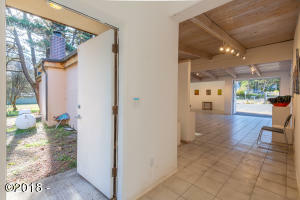 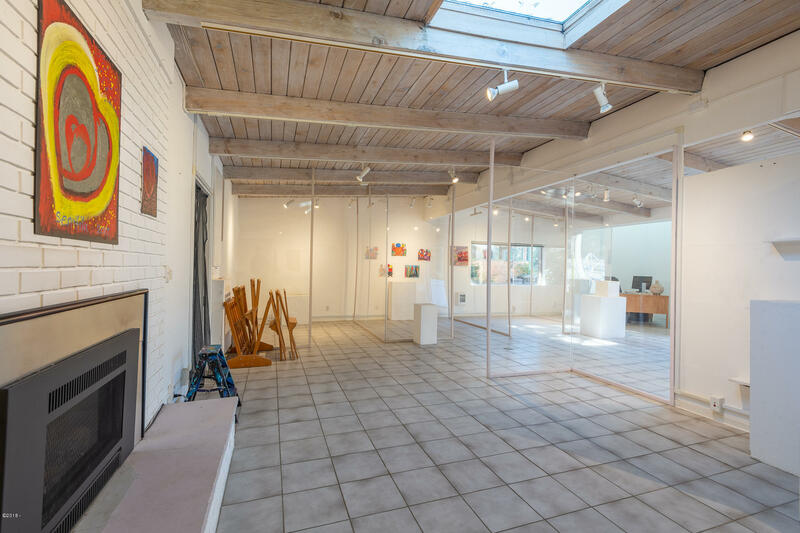 Property was fantastic and successful Fine Arts Gallery and a Windermere Real Estate Office; would be perfect for a Coffee Roasteria, BREWERY, Gallery or anything you might imagine (while incorporating limited accessory ‘art component’, satisfying local ”grandfathered zoning requirements”). 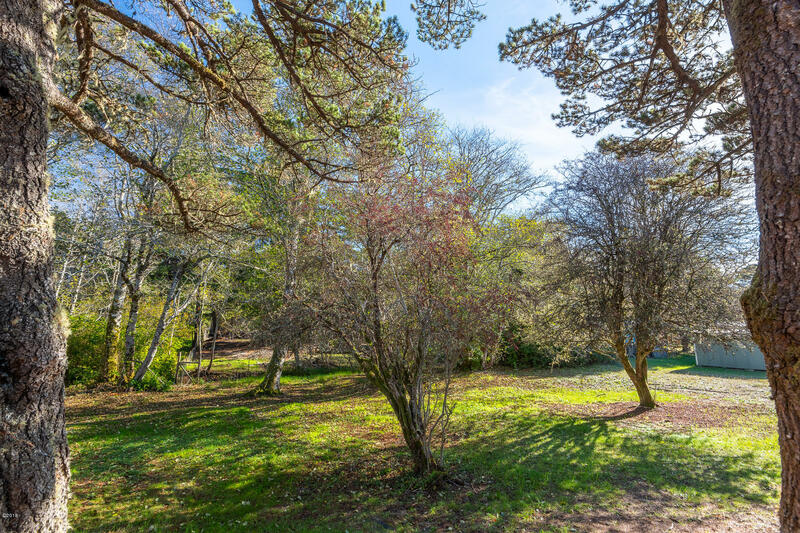 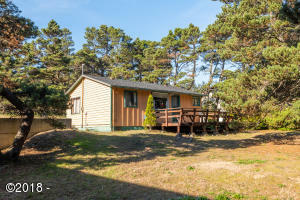 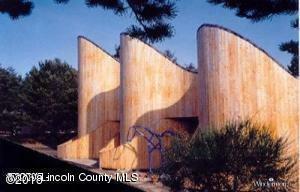 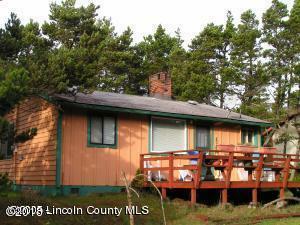 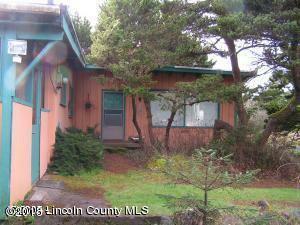 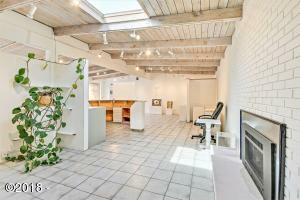 LISTING includes 2 bed 1 bath COTTAGE adjacent South. 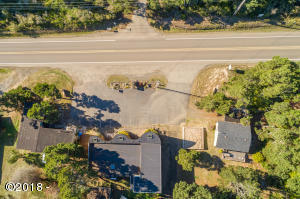 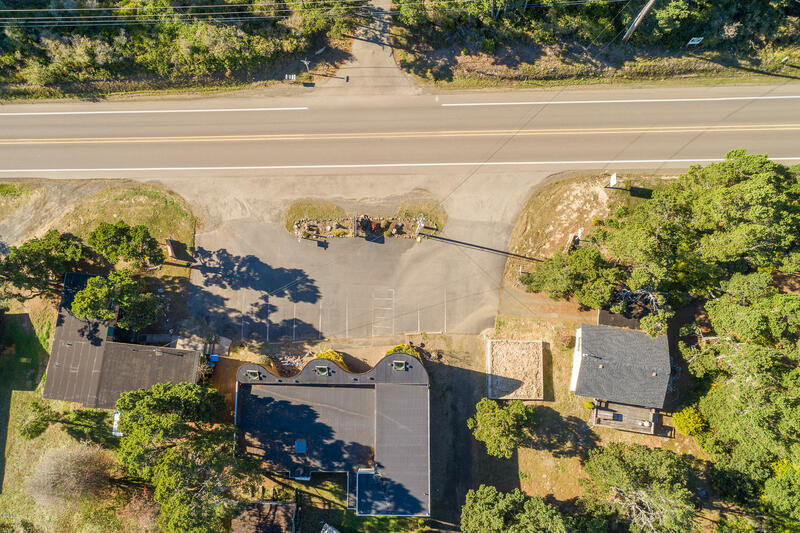 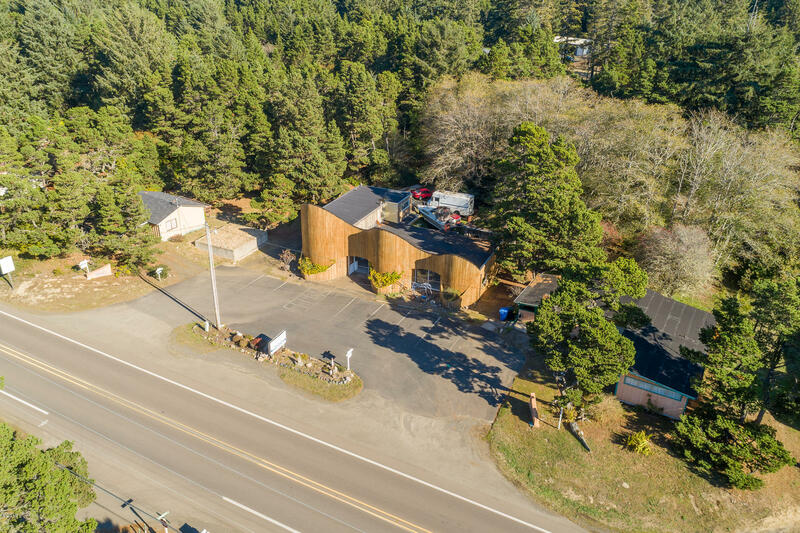 The newer sand filter with a cap septic system allows for pretty much All Commercial UsesThere’s a second 1 bedroom 1 bath bungalow adjacent North for added $115,000 ( ”Asking price” ) 3 BUILDINGS HAVE Highway FRONTAGE and ALL COULD BE USED COMMERCIALLY. 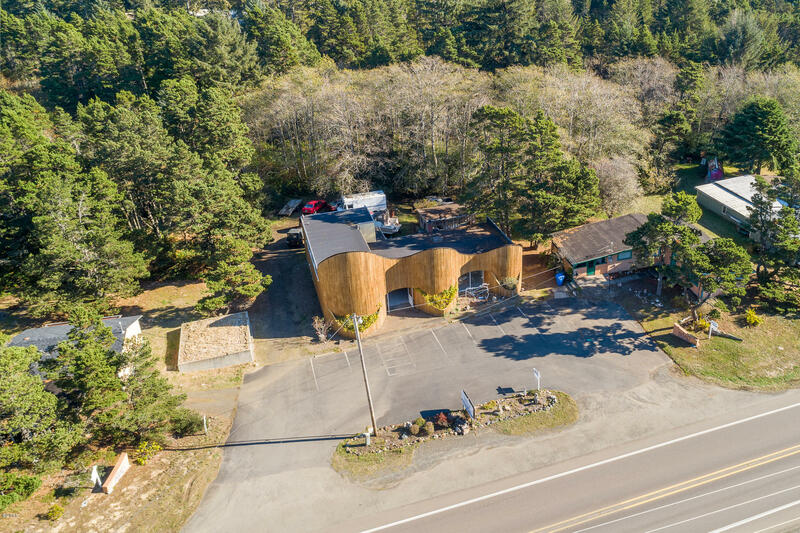 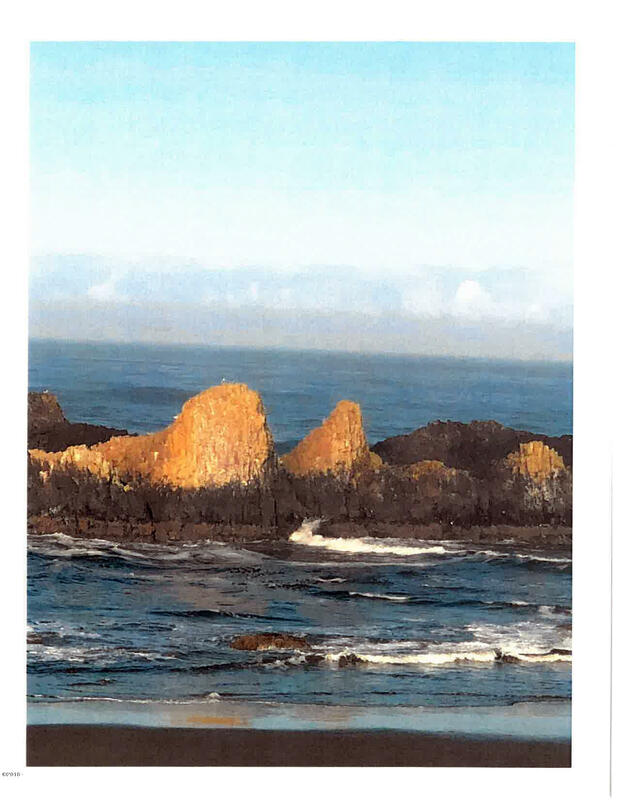 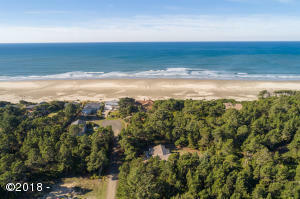 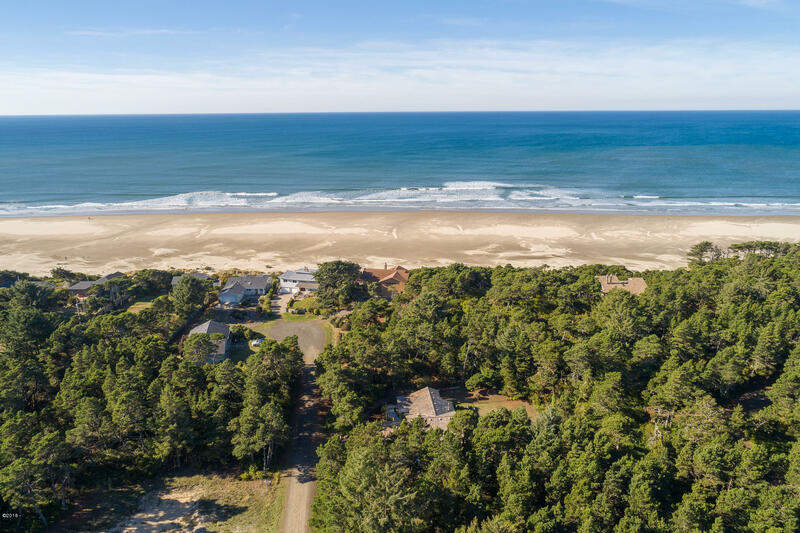 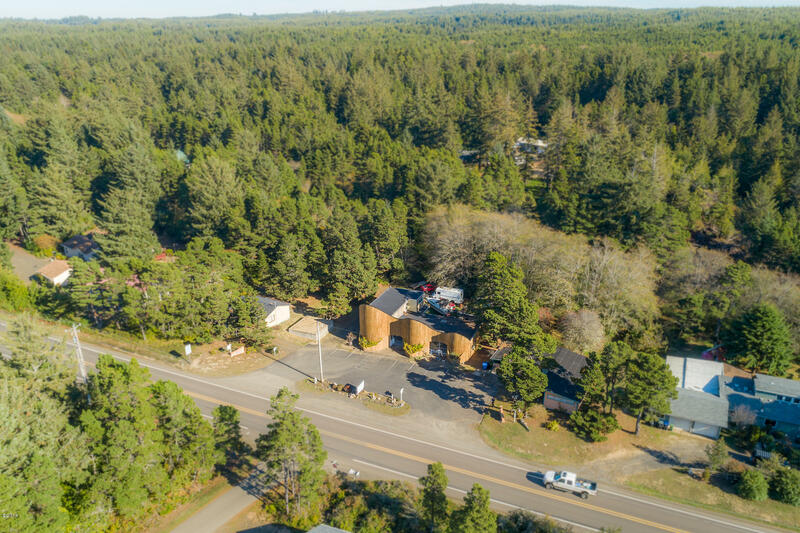 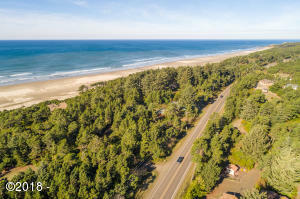 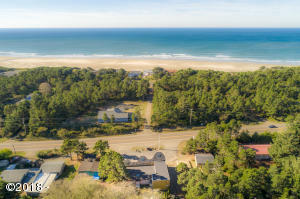 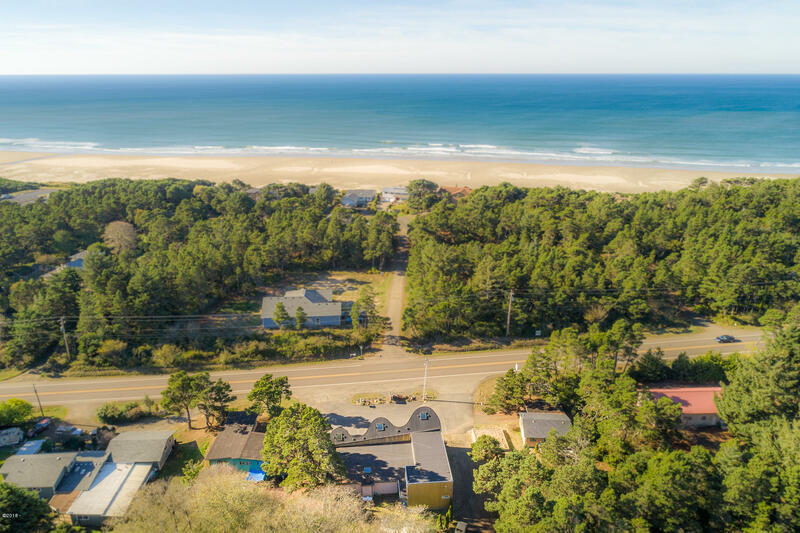 Directions SOUTH OF SEAL ROCK AND NORTH OF WALDPORT; EAST SIDE OF 101; STAND ALONE BUILDING COMPLEX; HAS ODOT SIGNAGE FROM BOTH DIRECTIONS ( ''REAL ESTATE GALLERY WINDERMERE'' ).